It is early on the 11th Day of Christmas. 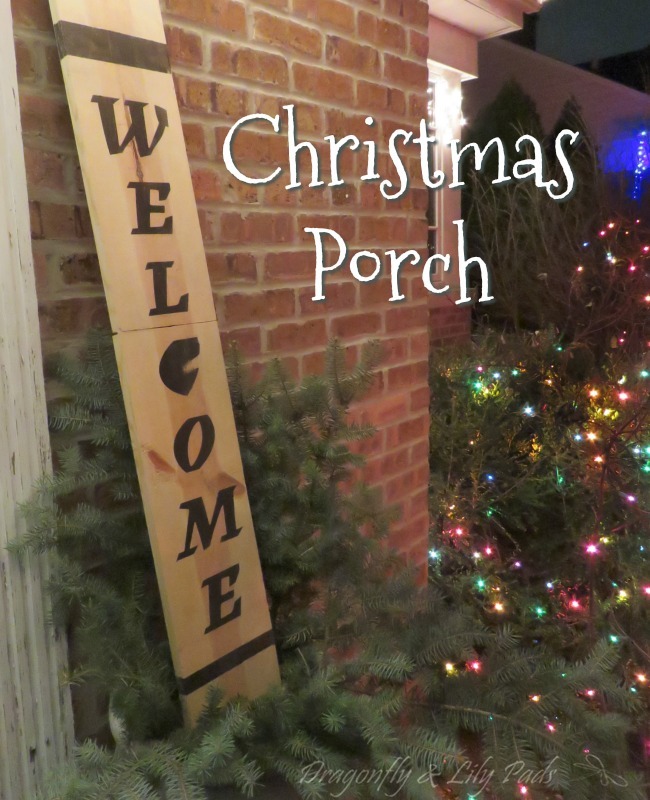 Today is all about Christmas Porches. 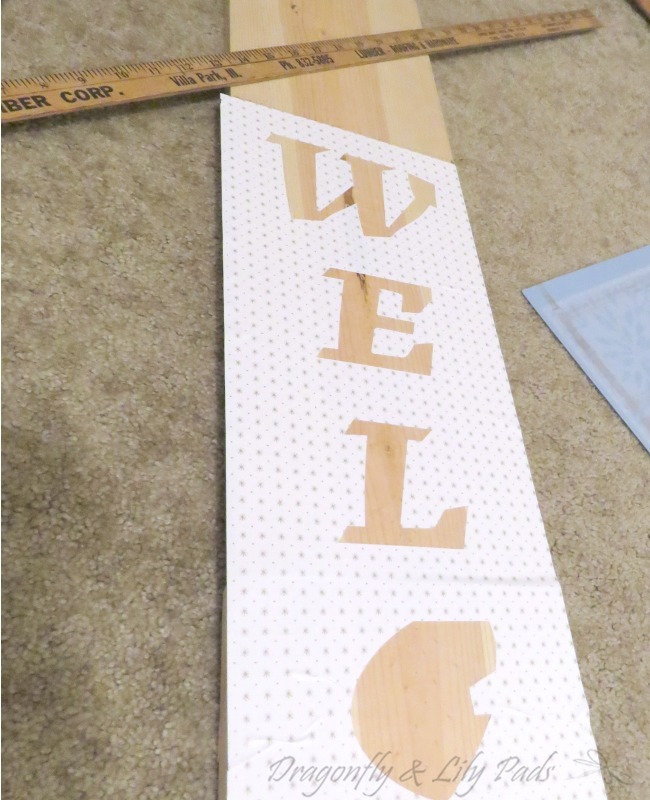 This hinged Welcome sign is inspired by a sign I saw at JoAnns. It is 4 feet tall and folded in half will store easily in our home. 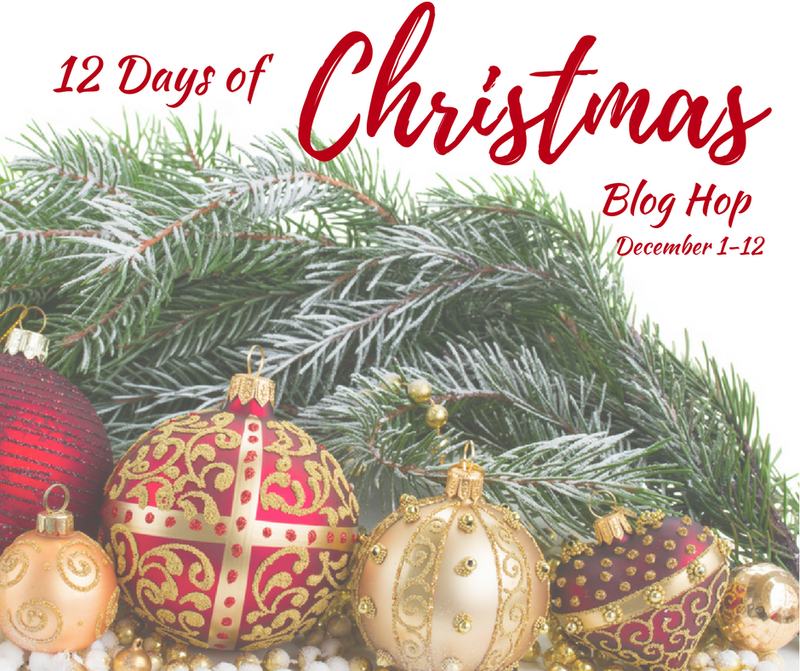 Enjoy the many talented bloggers who are sharing many ideas with the !2 Day of Christmas Blog Hop. Using Cricut choose a font you desire purchase or use any font is free. 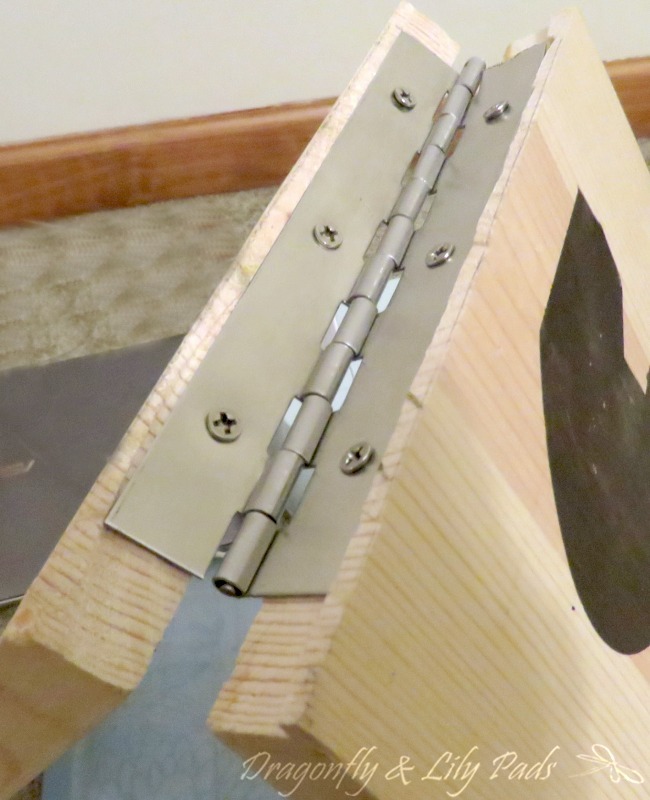 Using a saw cut the board in half, then attach the piano hinge and set aside. Place the stencil you made centered on the board and paint with acrylic paint. Since my vision was black-brown paint for the letters I mixed black and brown until I was satisfied with the result. Painting with the black-brown paint mixture from the outside in to reduce paint bleed. 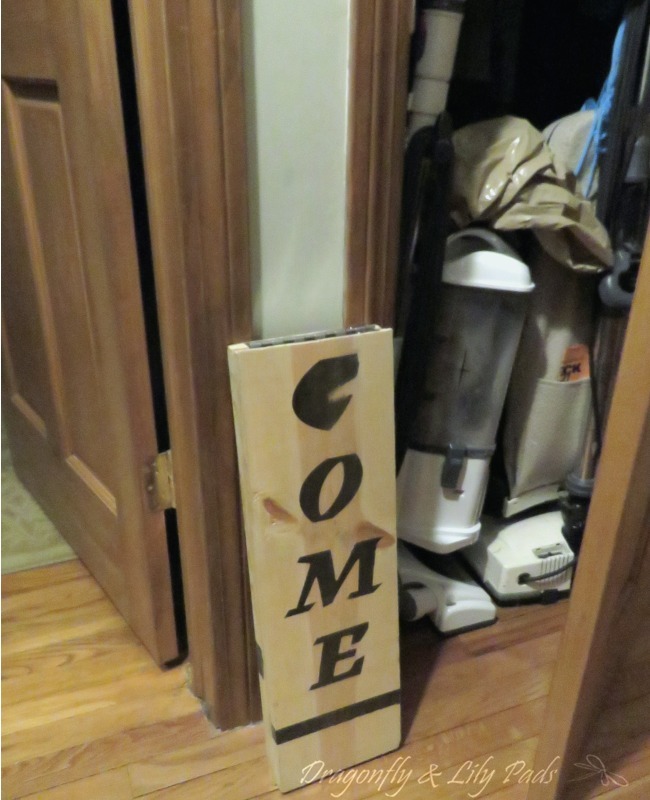 Folding the 4 foot sign in half make storage a breeze since it will fit just about anywhere. Slip it into the closet which will make for quick clean up. 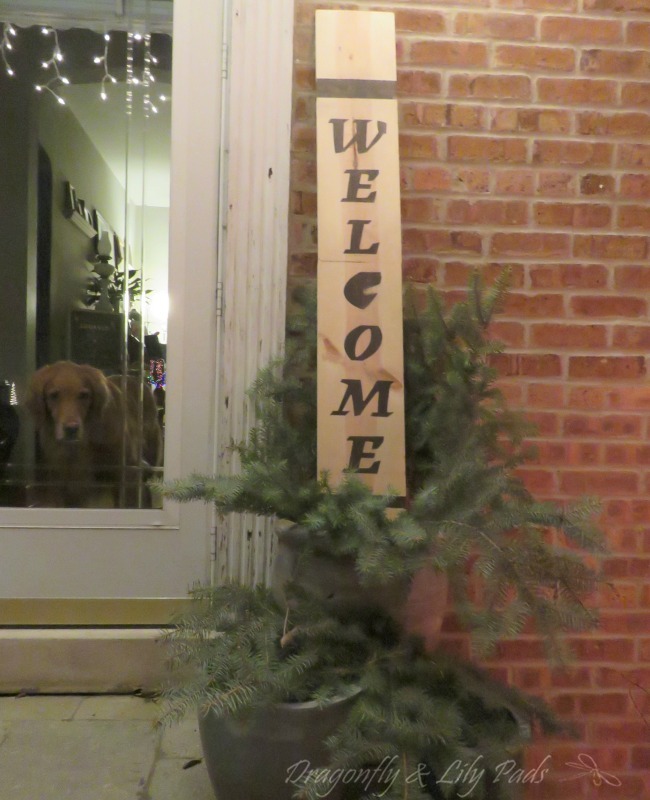 Cricket is peeking out at the Christmas decorations while I snap pictures of the latest addition to or front porch decor. We cut pieces of evergreen trees off a tree in a yard that was encroaching on the cement pad for basketball or a car. 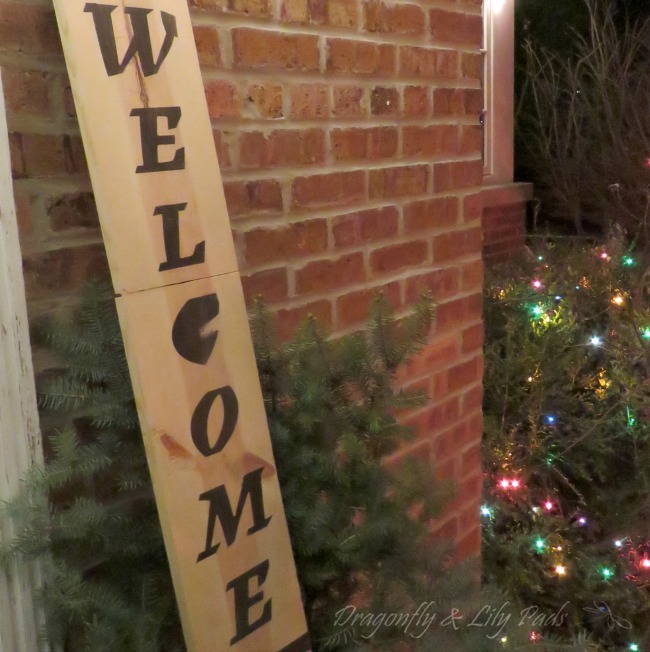 Free greens to add to our Christmas porch make a warm welcome for our guests. Question of the day- Do you have a favorite Christmas Carol? Making a foldable sign is so clever for storage purposes! I have told Santa I want a Cricut for Christmas! Your fur baby is so pretty and cute peeping out. I love the idea of the hinge for the sign, definitely easier to store something smaller!